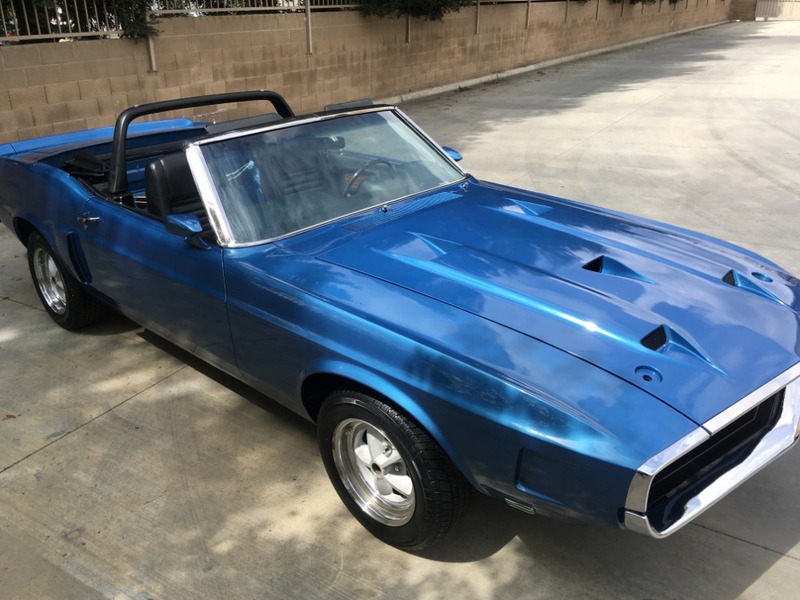 After over $200,000 invested and much effort, the California owner of 30 plus years was unable to complete this nearly finished Shelby GT350 Convertible. 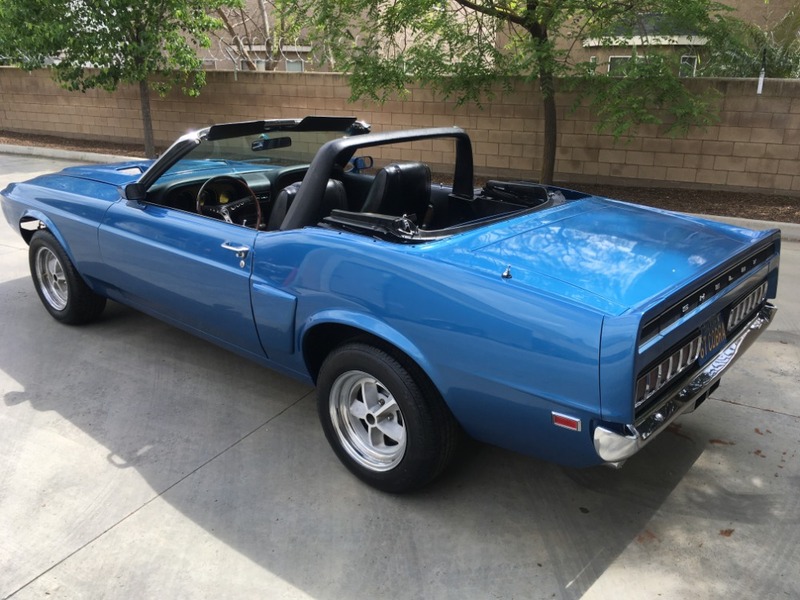 Stunning Acapulco Blue with Black Interior. The professionally applied paint is smooth, lustrous and easily the most beautiful color they offered. The car has been completely disassembled and the body shell properly refinished inside and out. Finishes are correct and of high quality. 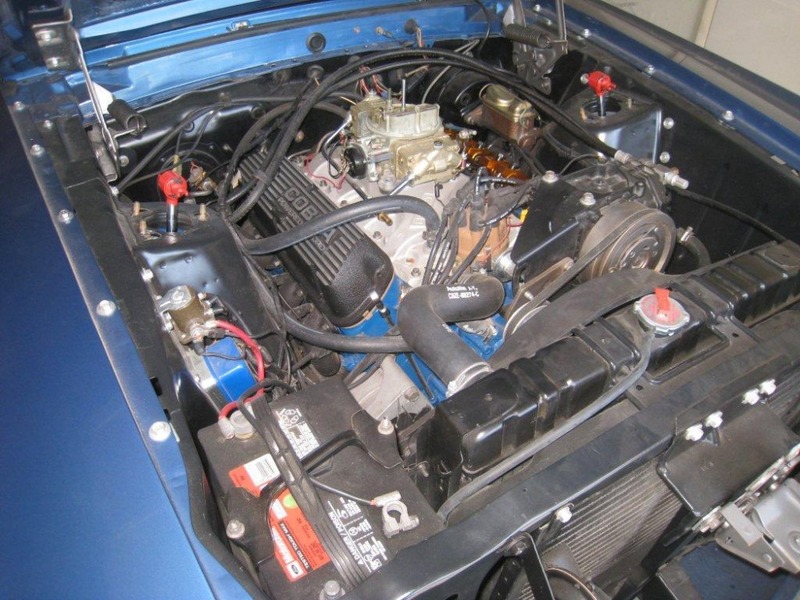 The 351 V8 has been fully re-machined in Fresno, California by Daves Performance. 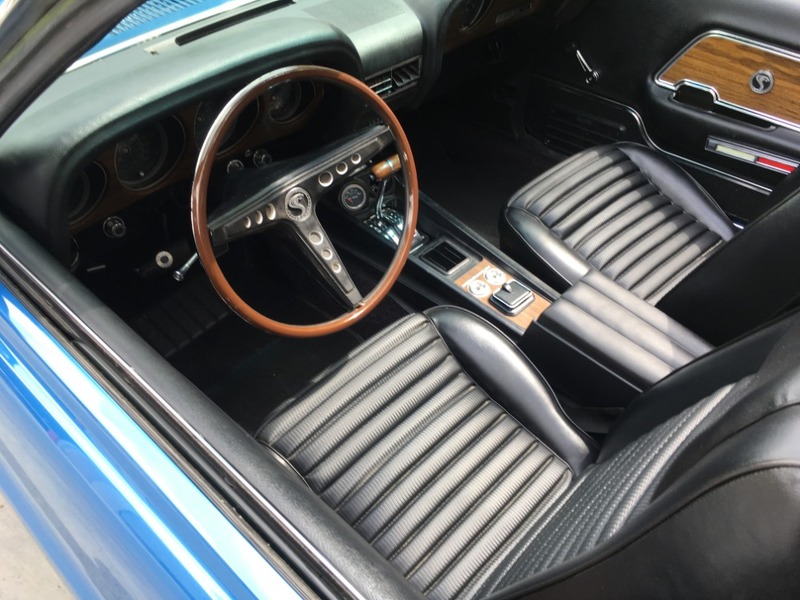 This car has an automatic, power steering, and air conditioning. 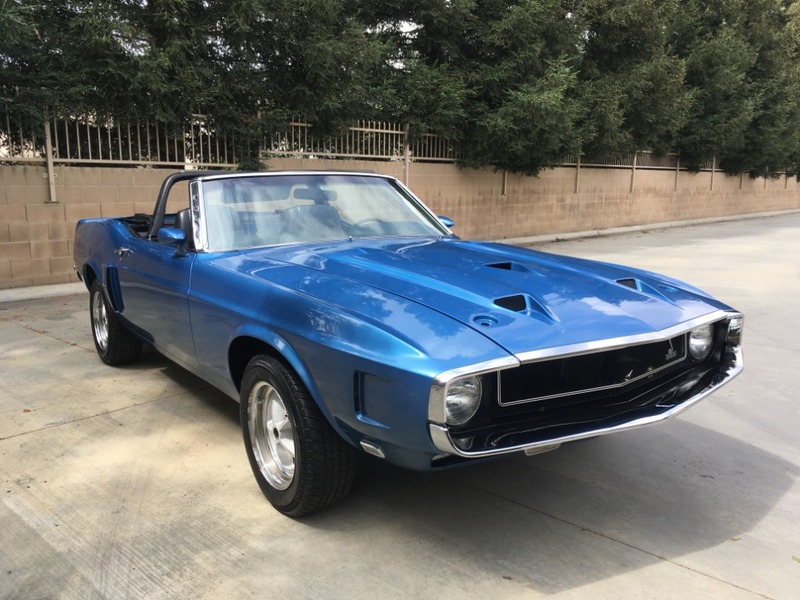 The Fresno, California owner started the restoration process 5-6 years ago and after two years and was unable to finish the car due to medical reasons. The car has been safely stored in his home garage since then and is not running at this time. Offered with a Marti report. The finishing touches can easily be done in a home garage, making this wonderful Shelby a fun and quickly completed light project. All the money has been spent and two years of hard work already done. An incredible project for its next lucky caretaker to easily finish. It can be running and driving in a couple weekends. 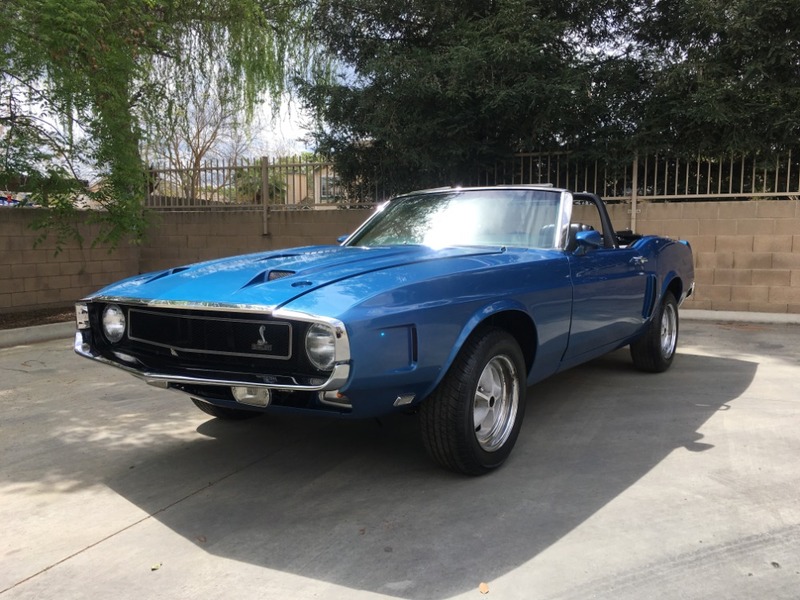 WIth over $200k invested this Shelby GT350 convertible represents a serious bargain. Its next owner can take pride in finishing this very special car and feel immense satisfaction once completed.